Boeing has announced Sir Roger Bone, president of its UK and Ireland operations, will retire at the end of September with Sir Michael Arthur to assume the post from October. Boeing UK & Ireland president Sir Roger Bone has announced he is to step down next month. 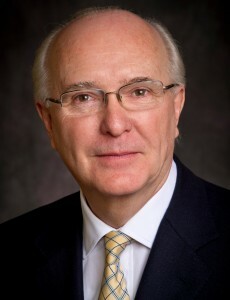 Sir Roger steps down after joining Boeing in September 2005 following a 38-year career inthe British Diplomatic Service, serving as Ambassador to Brazil from 1999 to 2004 and to Sweden from 1995 to 1999. Working with Boeing’s business units, Sir Roger helped expand the company’s employee base from fewer than 500 to around 1,700 today, while expanding its footprint to more than 20 sites across the UK and Ireland during that time. During this period, Boeing signed contracts for the sale of almost every type of Boeing commercial airplane, Chinook helicopters and C-17 transport aircraft, together with significant services and support contracts for both commercial and military customers. Shep Hill, president of Boeing International and senior vice president, business development and strategy, paid tribute to the outgoing Sir Roger. “The United Kingdom and Ireland are strategically important partners for Boeing and Sir Roger has represented the company with great skill during a period of significant growth, change and transformation,” he said. Sir Michael will join the company after three decades of international service with the British government and three years as a member of a UK-based business consultancy. Also from a diplomatic background, Sir Michael was British Ambassador to Germany from 2007 to 2010, and High Commissioner to India from 2003 to 2007. Beginning in 2001, he was a Member of the Foreign Office Main Board, providing organisational leadership in implementing ministerial policies. While serving abroad, he was a member of the Senior Leadership Forum, the wider Board involving senior Ambassadors. He worked closely with various multinational companies, and since leaving government service he has acquired experience with business consultancy and also as a non-executive director in the financial services sector. “Sir Michael brings to this role immense experience in international government affairs from his time in the Diplomatic Service as well as valuable experience with the private and not-for-profit sectors,” said Hill.